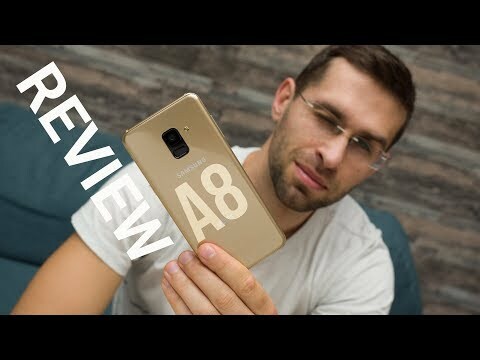 Expected price of Samsung Galaxy A8 2018 in India is expected to be Rs. 37,990. Samsung Galaxy A8 2018 Expected to be launched on 7th February 2019. The 256GB / 4GB variant of Samsung Galaxy A8 2018 costs around Rs. 37,990 and expected to available in Silver, Dark Blue and Midnight Black colour. The Galaxy A8 seems to be similar to Galaxy S8 in terms of display. The A8 sports a 5.6-inch super AMOLED display bearing a resolution of 2220 x 1080 pixels. This phone features a bezel-less display with an 18:9 aspect ratio screen. A 2.5D curved glass is fitted on the top for an enhanced viewing experience. Design-wise, there are no physical buttons on the front. A fingerprint scanner is mounted on the back of the device. There is a USB Type-C headphone jack located at the bottom. The Galaxy A8 is IP68 certified dust & water resistant. Sensors on the phone include accelerometer, magnetometer, proximity sensor & gyroscope. The device ships in Black color. The Galaxy A8 features an 18MP rear sensor with f/1.7 aperture lens. It is accompanied by an LED flash. PDAF system aids in fast focusing & better low light pictures. The A8 is the first offering from Samsung to sport a dual front camera. It comprises of 16MP + 8MP sensors and enables users to capture selfies in portrait mode. Samsung has also added face unlock feature on this device. The rear camera is capable of recording 4K videos (2160p). On the hardware front, the A8 is equipped with Samsung’s Exynos 7885 octa-core processor clocking a speed of 2.2GHz. It is paired with 6GB RAM. The hardware ensures smooth performance & seamless multitasking. This device offers 64GB internal storage which can be expanded up to 256GB via microSD card. The Galaxy A8 runs on Android 7.1 Nougat out of the box. The Galaxy A8 is powered by a 3500 mAh non-removable battery. It offers dual sim functionality & supports nano sim cards. Connectivity options on this device include GPS, 4G LTE, 3G, 2G, WiFi, Bluetooth & VoLTE. Ans: Yes, Reliance Jio network will work on this phone as it supports VoLTE connectivity. Ans: The Galaxy A8 sports a dual front camera comprising of 16MP + 8MP sensor. So you can expect great selfies from the phone..
Ans: The Galaxy A8 battery is not user removable. 5. Does this phone support OTG cable? Ans: Yes, an OTG cable can be connected to this phone.